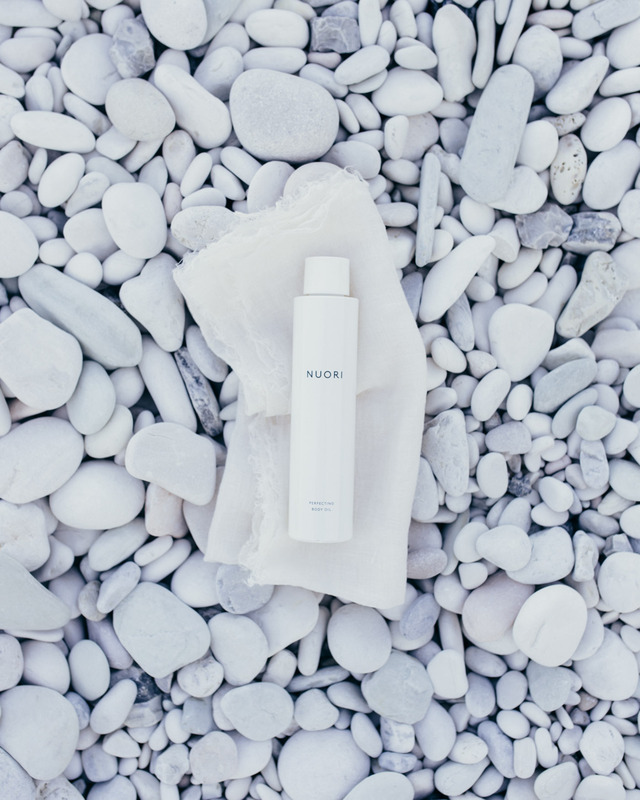 Post-swimming staple: Perfecting Body Oil by Nuori skincare. 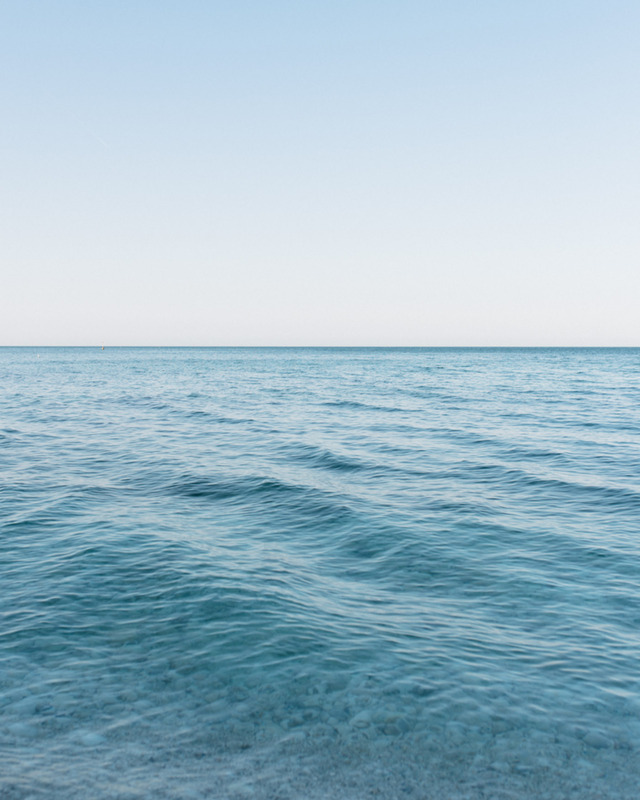 The Adriatic Sea making smooth waves. Warmer weathers call for wild swimming and other outdoor activities. The skin enjoys being exposed to fresh air and soaking in natural waters. After a day in the sun, moisturizing is essential. I have recently added two Nuori products to my bathing ritual: ‘Perfecting Body Oil’ and ‘Vital Body Balm’. The mission and business of Nuori skincare is freshness. Instead of producing huge amounts of products and loading them with preservatives for maximum shelf life, the Nuori products are freshly blended in small batches every 12 weeks, then carefully packaged and delivered directly to stores. Along with a best before date, the products feature a start using by date. The body oil is a truly luxurious and sensual product that seems to be exactly what my skin needs right now. It is formulated to match skin’s natural lipid balance containing delicious ingredients such as rosehip, grape, apricot kernel, jojoba and avocado oils. Applying the oil to moist, clean skin, it feels rich and nourishing yet it absorbs easily. You get a skin that is smooth and sheen, not greasy. The scent is fresh and delicate with notes of citrus and orange. The body oil can be used alone or under chosen body balm. I first spotted Nuori in one of my favorite stores in New York, ABC Carpet & Home. The name caught my attention (the word nuori means young in Finnish). As it turned out, the founder of Nuori, Jasmi Bonnén, was born Finnish, although she established her business in Denmark and she now lives in New York. For more information about the beautiful brand, visit the Nuori website or find your closest retailer here.